Multiple progressive politicians have cemented a new way of campaigning and keeping constituents informed: showing their authentic selves online, as a means to engage with their constituents and a national audience more genuinely. The embrace of social media as a legitimate political tool reflects a changing dynamic in U.S. politics, one which favors real people and experiences over polished messages and canned rhetoric. 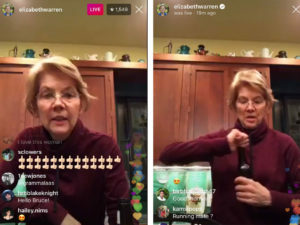 Examples abound: newly-elected Representative Alexandria Ocasio-Cortez making mac and cheese on Instagram, with Senator Elizabeth Warren mimicking the strategy and opening a beer after announcing her exploratory committee a few weeks later. 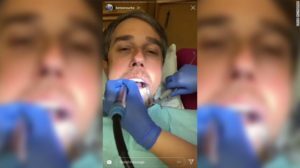 Texas Senate candidate Beto O’Rourke even live-streamed his visit to the dentist. These politicians are unabashedly using their platform to deliver not only glimpses into their personal lives, but to convey more authentic reactions and opinions, providing the public with a sense of participation. Bringing people into the political process—even if it is from the screen of a smartphone—is a surefire way to engage unlikely voters in politics. No longer are today’s politicians glossed over, seemingly flawless, and untouchable. Instead they broadcast themselves to the public through the likes of Instagram and Twitter. 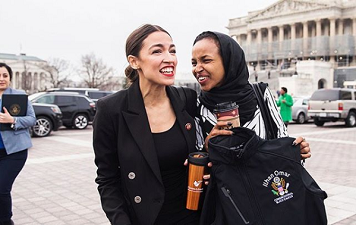 It is the very popularity of their unscripted humanity—their willingness to cook on camera, drink, share their skincare routine, or get their teeth cleaned—that reveals the general population’s thirst for approachable politicians. In a world where high-power Washington officials have become increasingly stratified from the people they represent, this type of refreshing social media engagement narrows the gap between representative and constituent. Politics are ultimately about human issues, and the use of social media brings these topics back down to a human level. The greater public can instantly connect with a representative from their mere fingertips; political power is becoming more democratized as people decide who their most popular elected officials are via social media. Political clout, then, lies only a few viral tweets away. Yet social media’s glimpse into the inner workings of today’s politicians does not always produce a positive result. Notably, President Trump continues to fire off tweets in lieu of consulting with his staff and making thoughtful major policy decision. The power of social media in politics, however, is far vaster than merely his rapid-response, incendiary tweets may indicate. The fact that these stories are now more accessible (due in no small part to the most diverse Congress we’ve ever seen) is a sign of our changing political times. As a Communications Associate at NETWORK, I witness firsthand how social media influences people’s beliefs and perceptions. In this past election cycle I saw an incredible influx of representation of women, people of color, LGBTQ folks, varying religions, and more. This new representation further illustrates the rich narrative that tells the story of the people of the United States. This entry was posted in Emerging Justice Seekers, Front Page, Voting and Democracy on January 31, 2019 by lindsay.